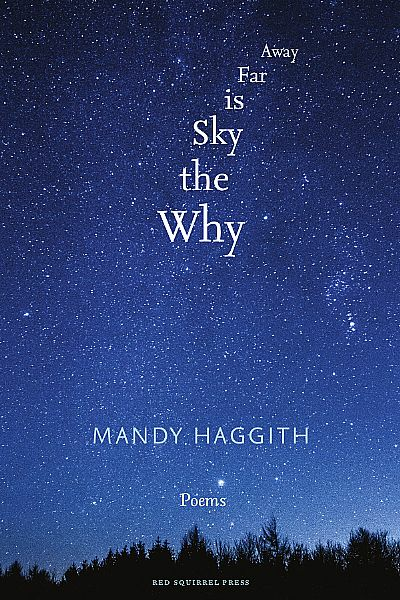 My long-awaited poetry collection, Why the Sky is Far Away, is now out. The launch event was at the Scottish Poetry Library in Edinburgh on 6 April. I'm grateful to all who came along despite the sky being wet and not very far away at all! I will be doing a Highland launch care-of Highland Lit on Tuesday 23 April, at 7pm, at Glen Mhor Hotel, beside the river in Inverness. All welcome! I'll also be reading from it in Nairn on Saturday 11 May, 3.30pm in the Swedish cafe. I'm also highly delighted to be poet in residence at Inverewe Gardens for the summer of 2019. For more information about that, see my blog.